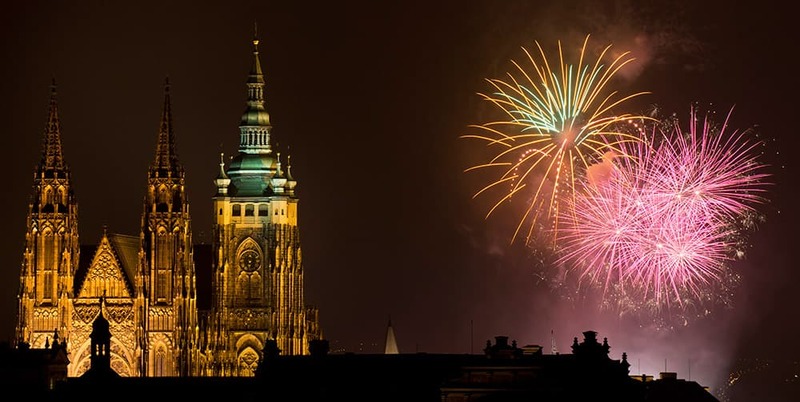 Fireworks light the sky above Prague Castle during New Year's celebrations in Prague, Czech Republic. 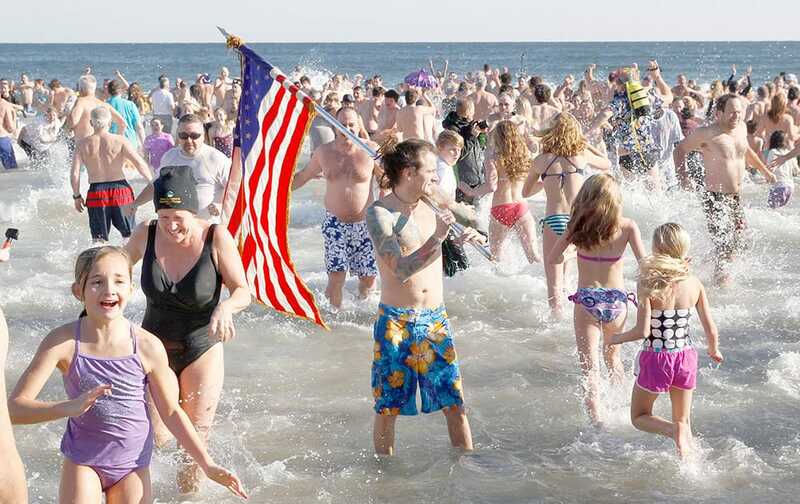 People run in and out of the cold Atlantic Ocean during the Sons of Ireland's annual New Year's Day Polar Bear Plunge on a sunny, but frigid, in Asbury Park, N.J. 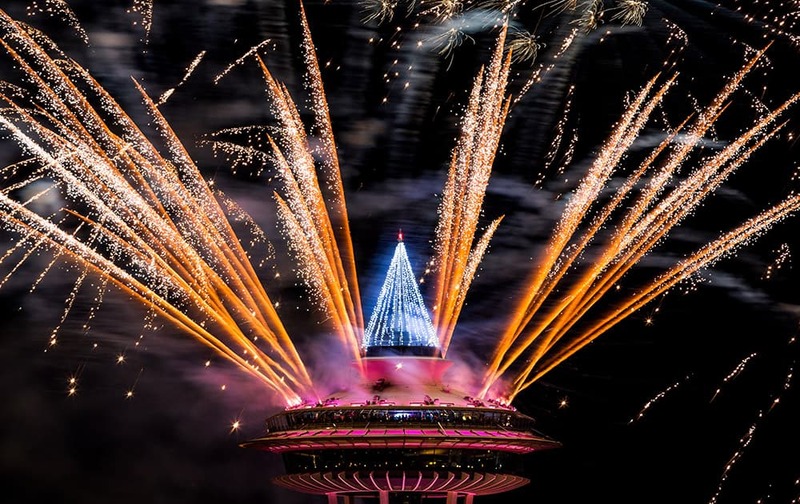 Colorful bursts of fireworks explode along the 605-foot height of the Space Needle during the 'T-Mobile New Year’s Eve at the Needle' event, in Seattle, Washington. 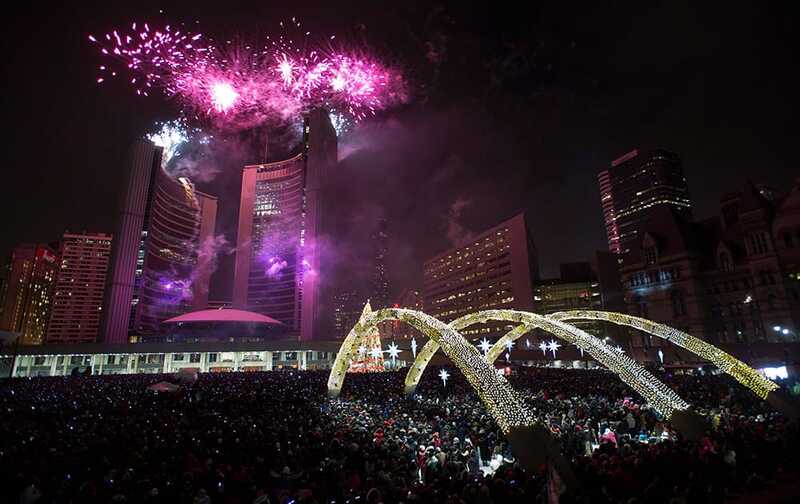 Fireworks explode in front of City Hall as revelers pack Nathan Phillips Square for New Year's celebrations in Toronto. 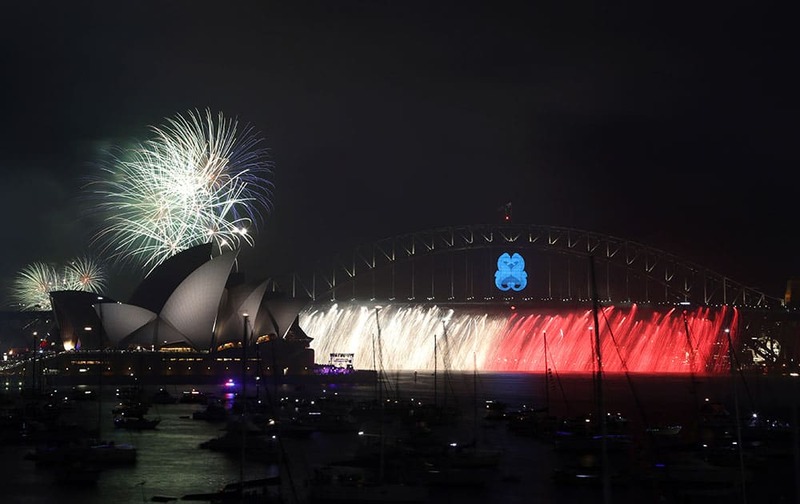 Fireworks explode over the Opera House and the Harbour Bridge during New Years Eve celebrations in Sydney, Australia. 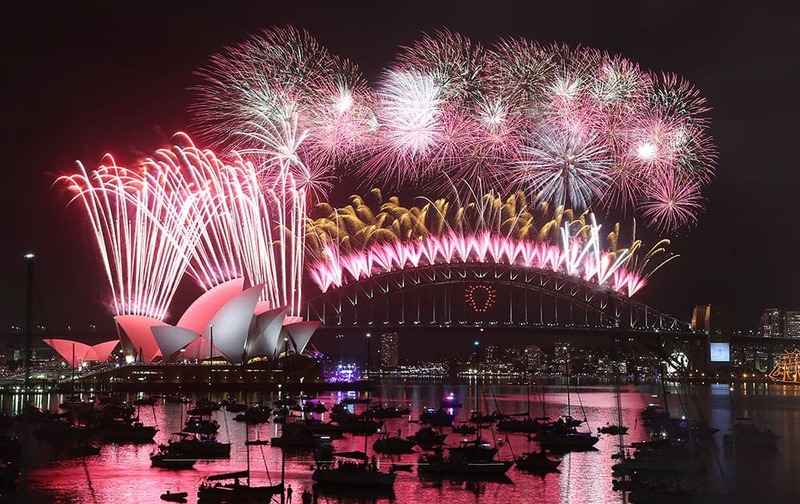 Taylor Swift performs in Times Square during New Year's Eve celebrations, in New York. 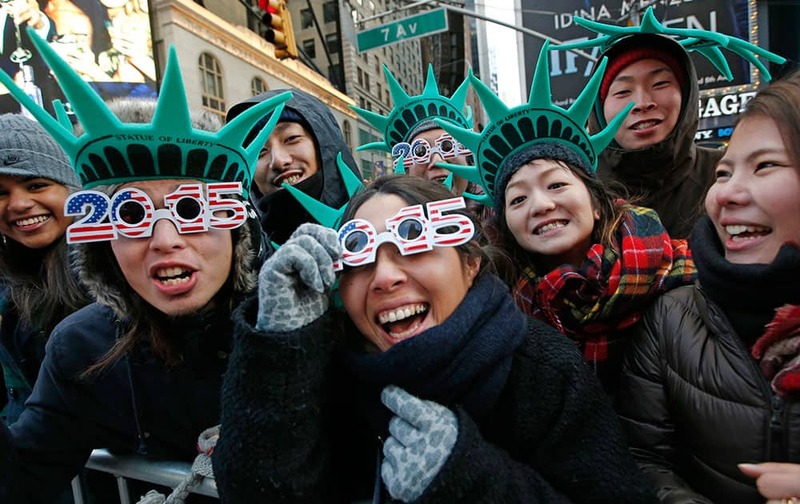 Tourists Teru Udaka and Yuko Yamakata, wearing 2015 glasses, join other friends from Osaka, Japan to celebrate New Year's Eve in Times Square hours before the start of the celebration in New York. 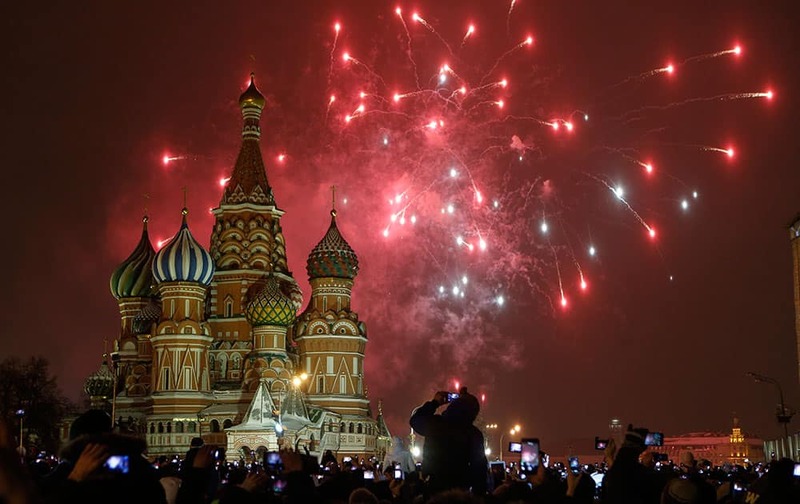 People photograph fireworks as they celebrate the New Year in Red Square in Moscow, Russia. 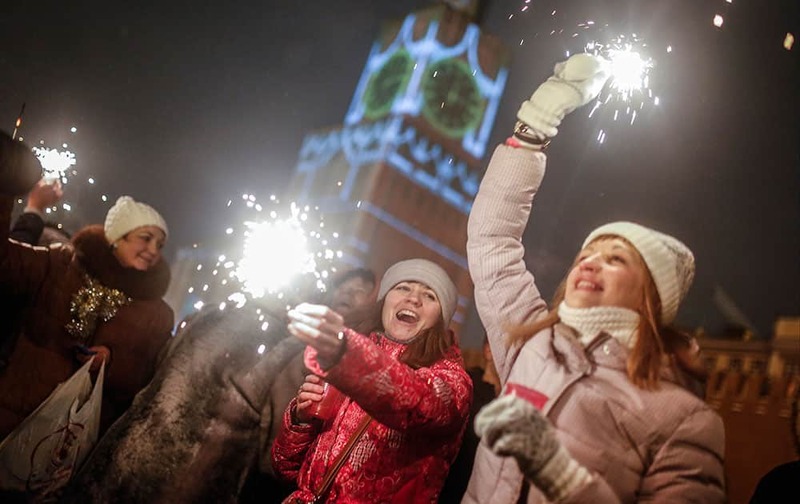 People light sparklers as they celebrate the New Year at the Red Square in Moscow, Russia. 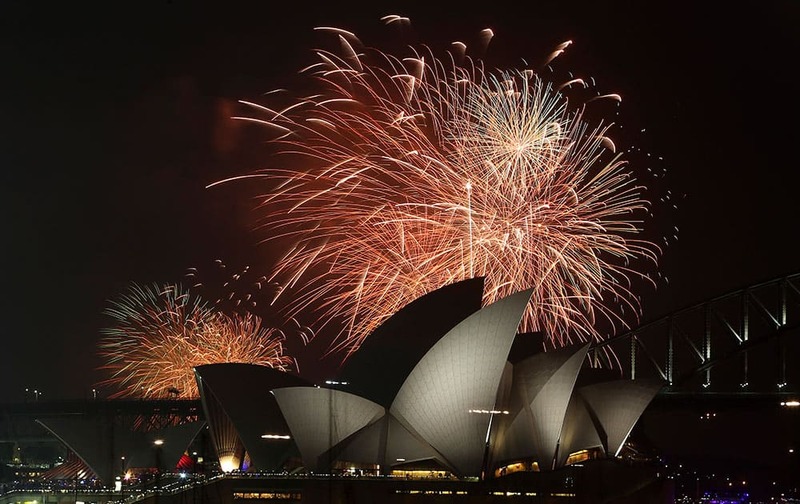 Revelers cheer in Times Square during the New Year's Eve celebration, in New York. 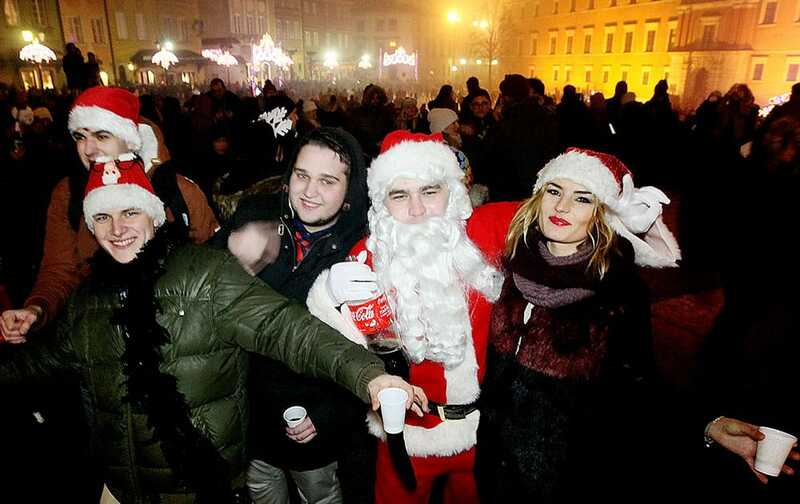 People gather to see the fireworks display and celebrate the New Year at Castle Square in Warsaw, Poland. 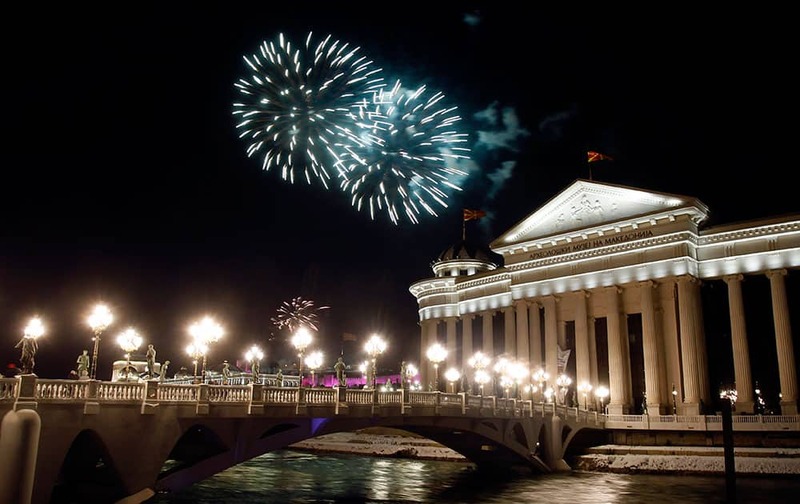 Fireworks explode over the Archaeological Museum building in Skopje, Macedonia, during the New Year celebrations. 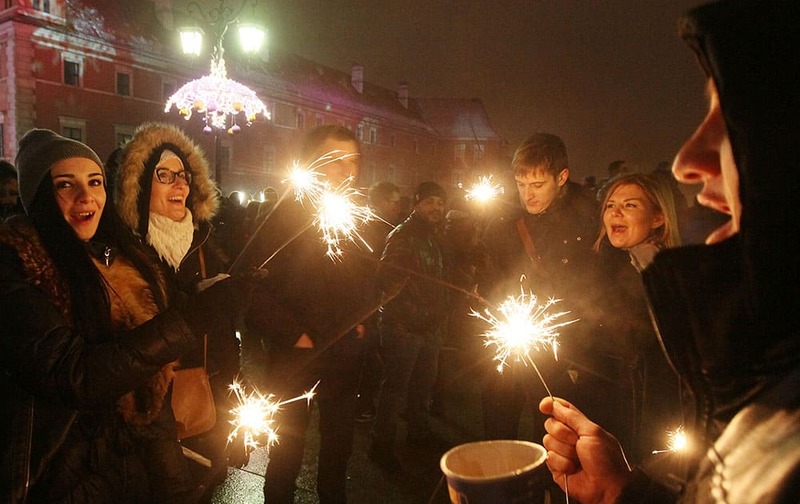 People gather to see fireworks display and celebrate the New Year at Castle Square in Warsaw, Poland. 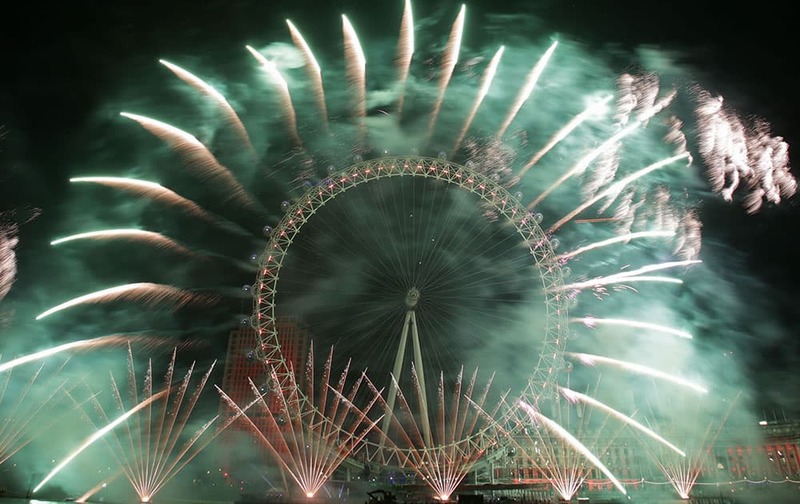 Fireworks light up the sky over the London Eye in central London during the New Year celebrations. 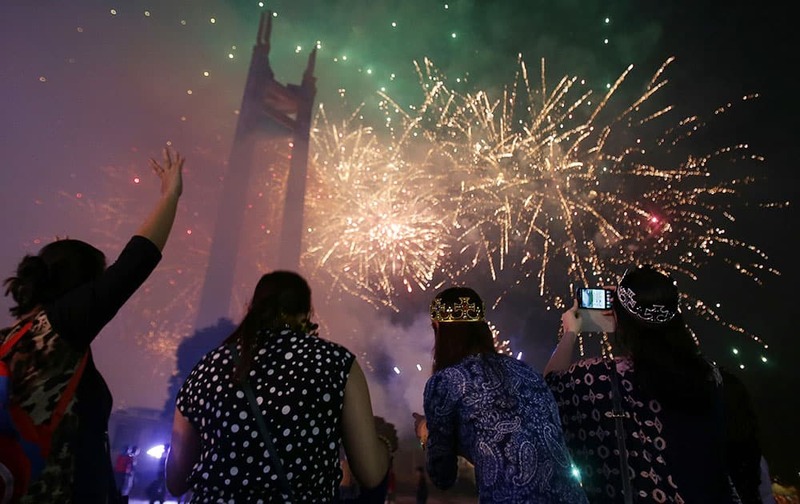 Spectators watch a fireworks display during a New Year's celebration at the Quezon Memorial Circle in suburban Quezon city, north of Manila, Philippines. 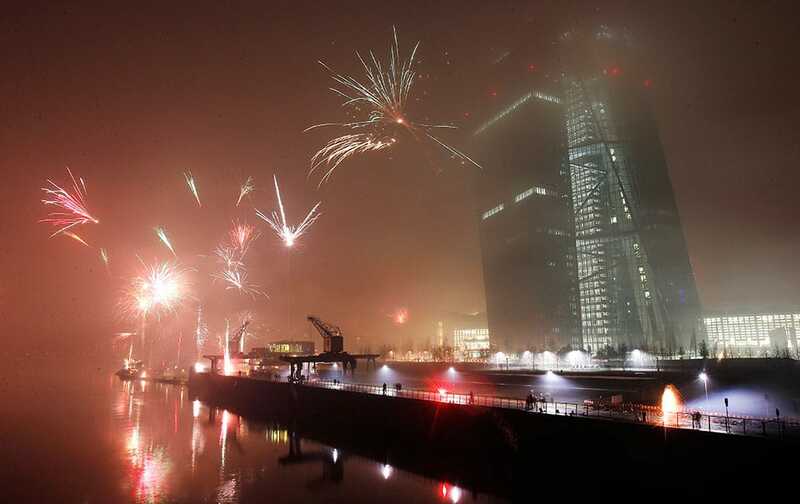 Fireworks explode during New Years celebrations near the new headquarters of the European Central Bank in Frankfurt, Germany. 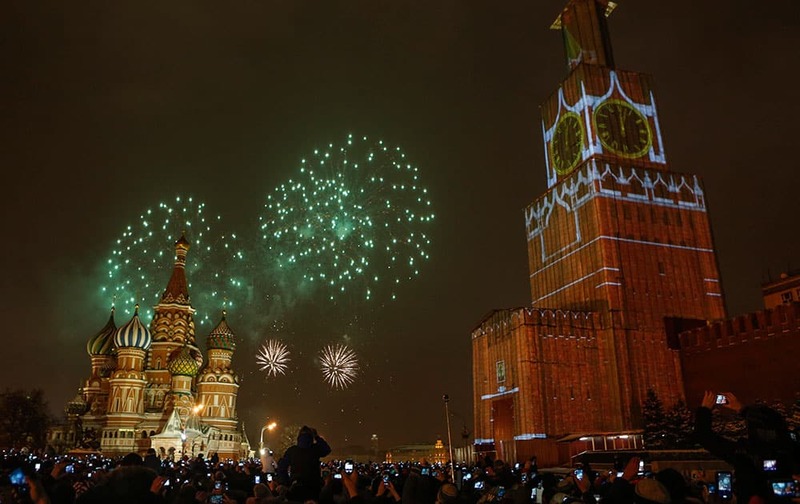 The projection of Spassky (Saviour) tower is seen over the scaffold covering the tower, which is user renovation, as fireworks explode over the Red Square during the New Year celebration, in Moscow, Russia. 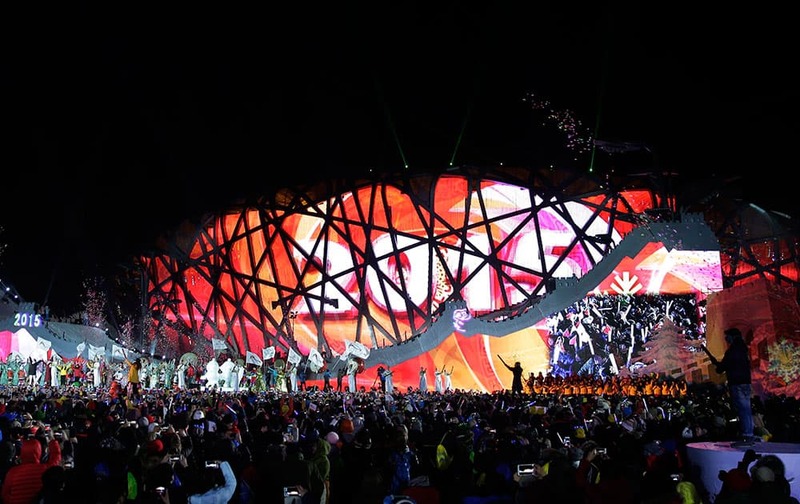 Chinese people celebrate the New Year in front of the National Stadium illuminated with lights and words 'year 2015' during a new year's countdown event in Beijing, China. 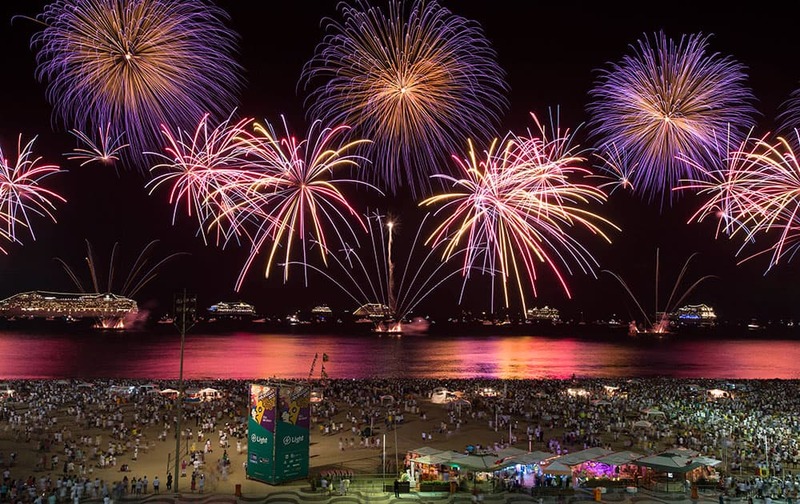 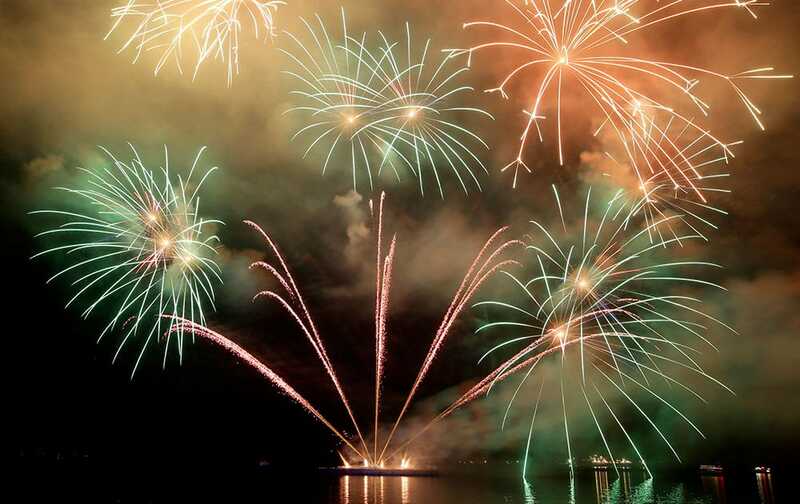 Fireworks light up the sky as Filipinos welcome the New Year, in Manila, Philippines. 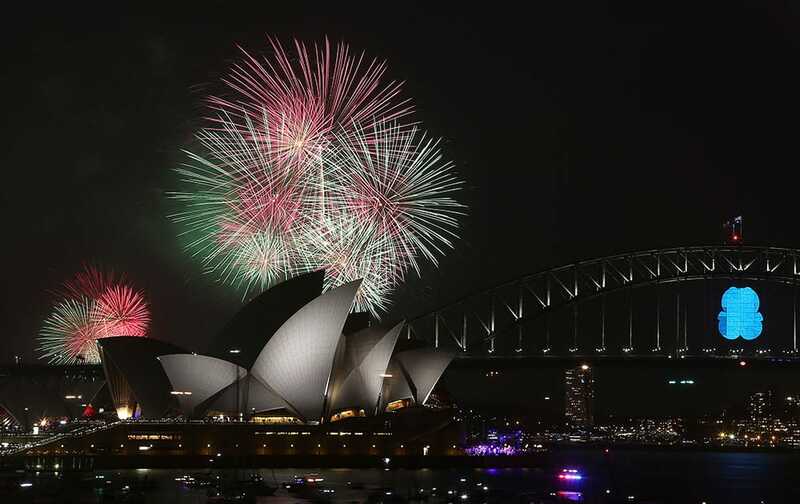 Fireworks explode over the Opera House and the Harbour Bridge during New Year's Eve celebrations in Sydney, Australia. 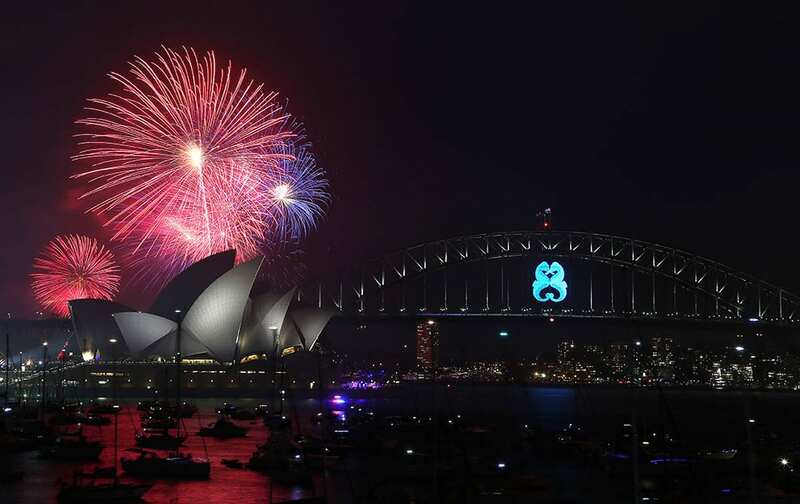 Students form numbers representing the year 2015 during a function to welcome the New Year at a school in Ahmedabad.